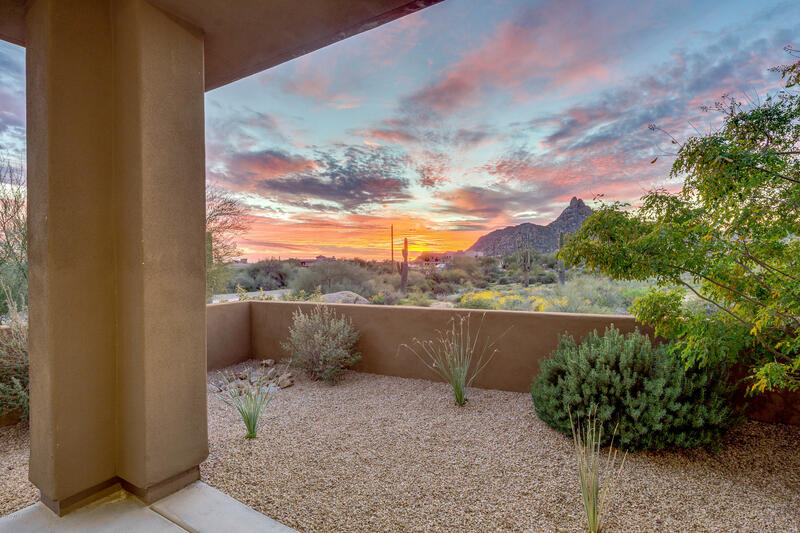 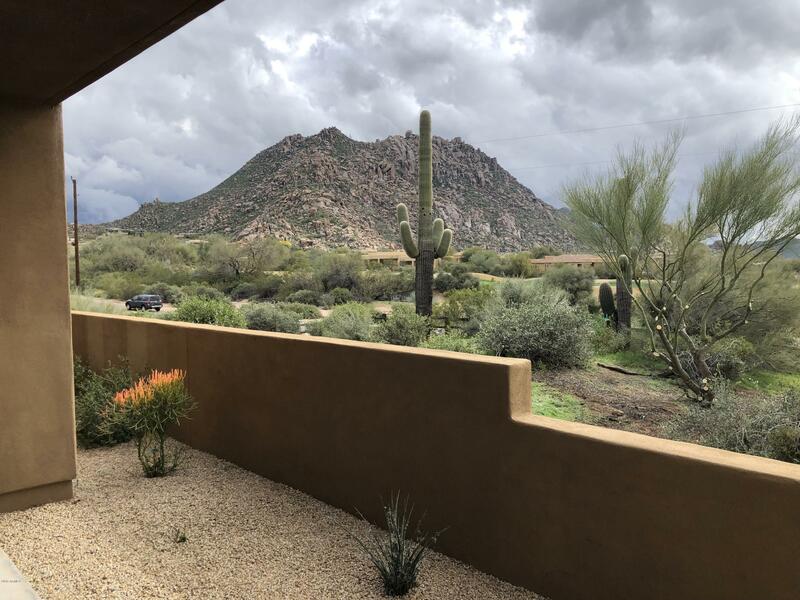 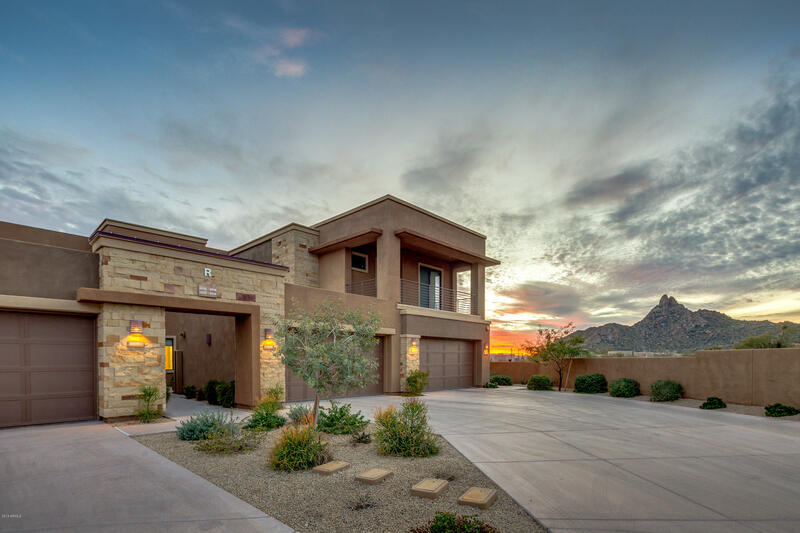 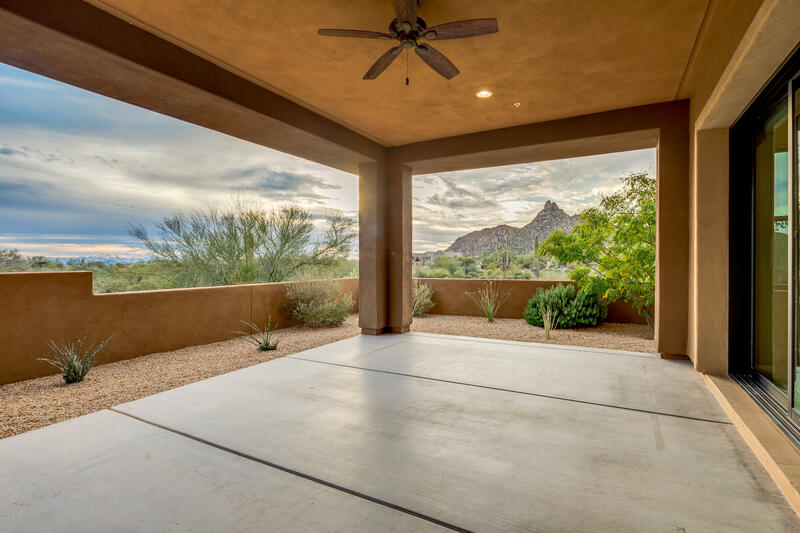 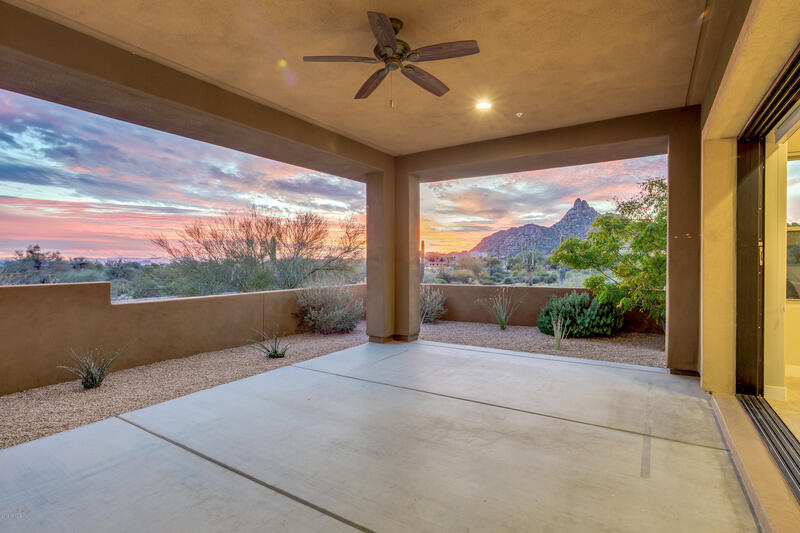 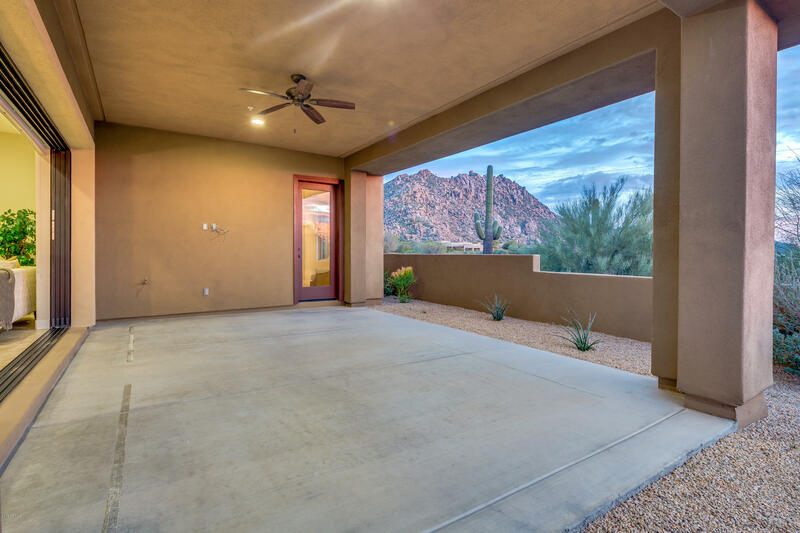 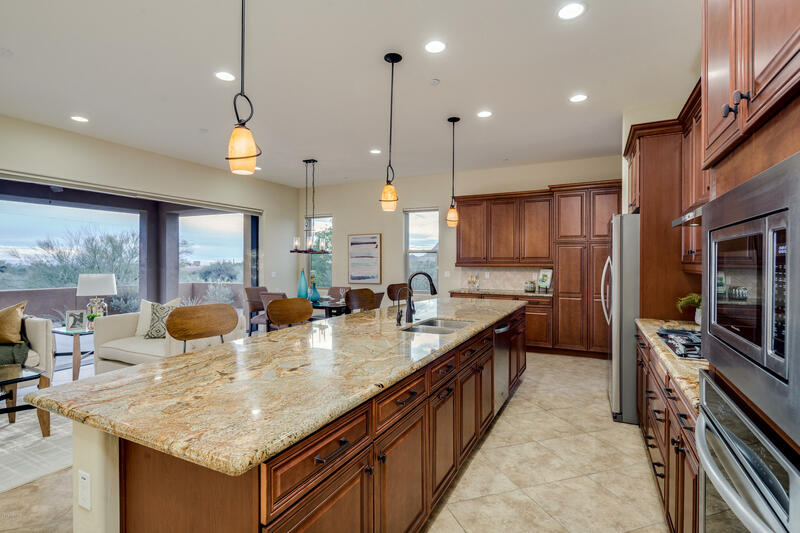 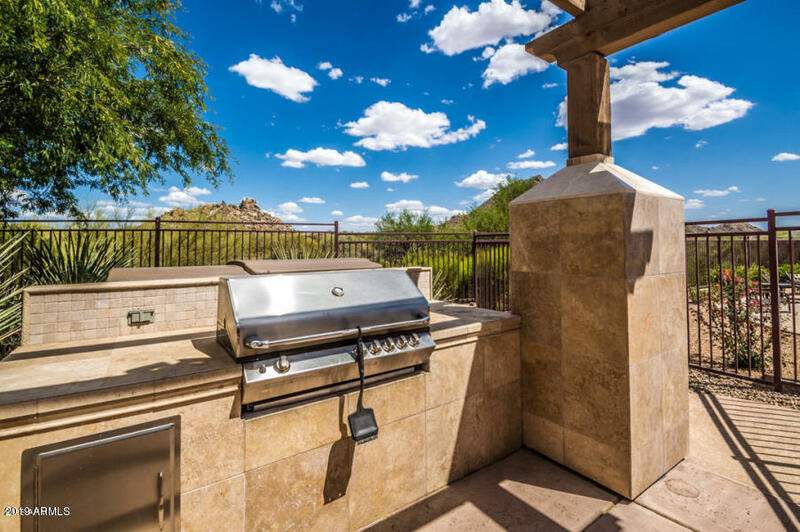 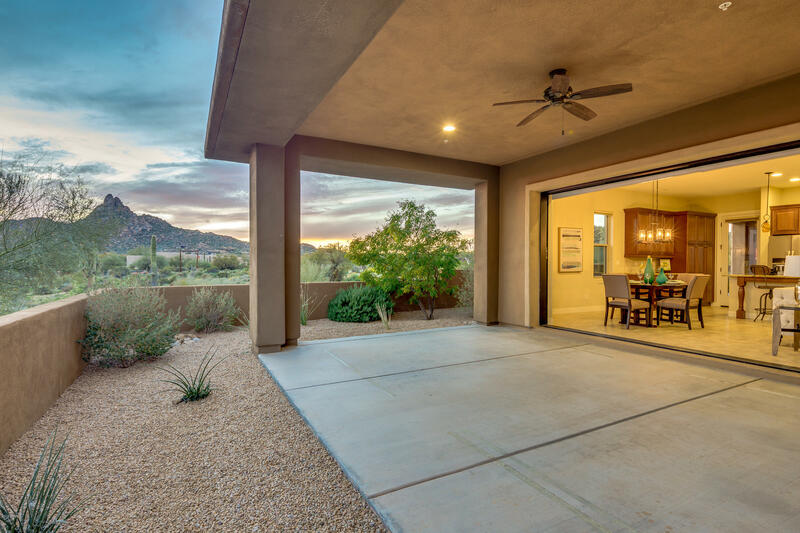 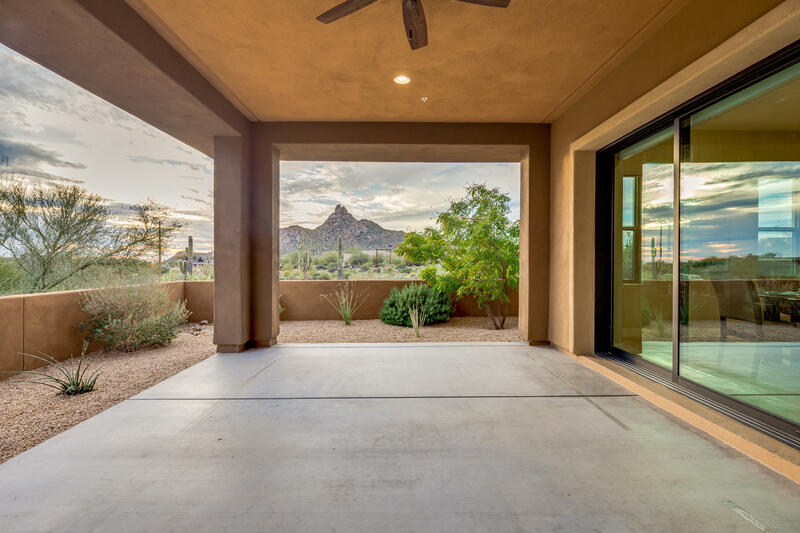 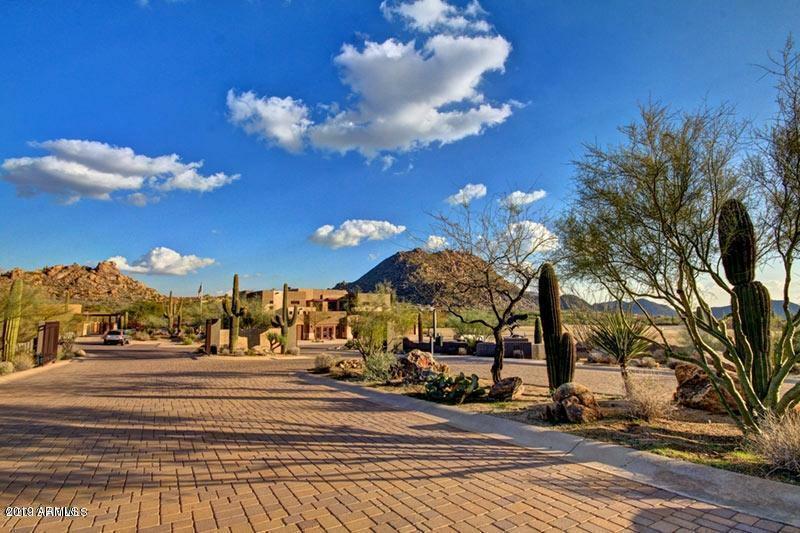 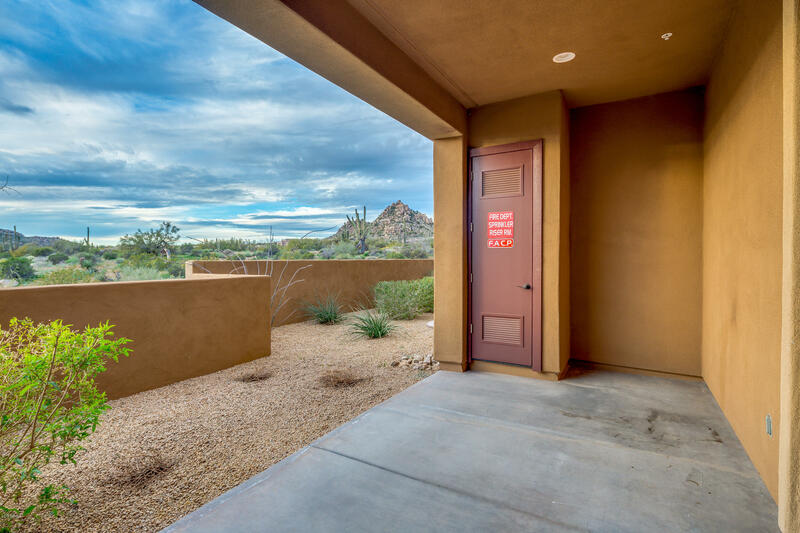 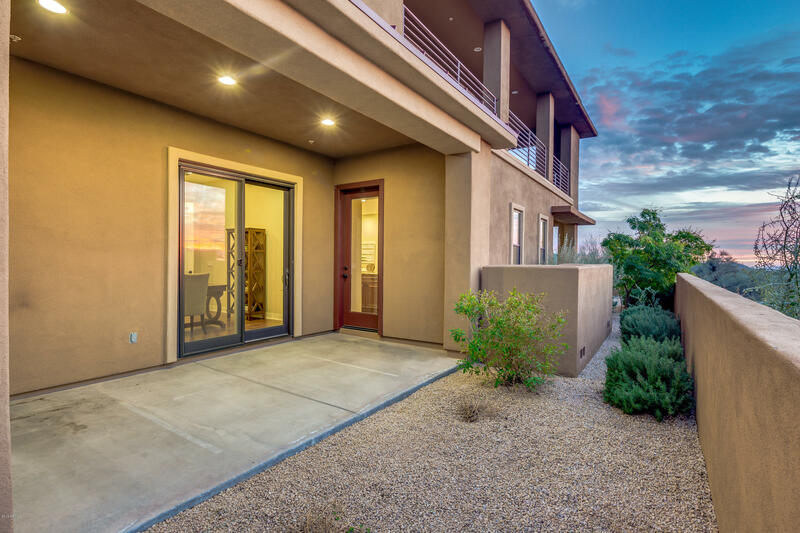 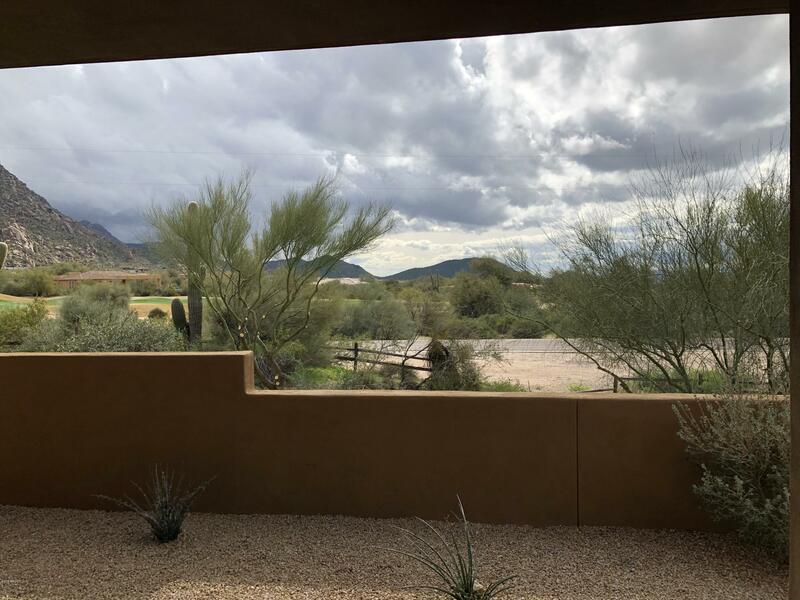 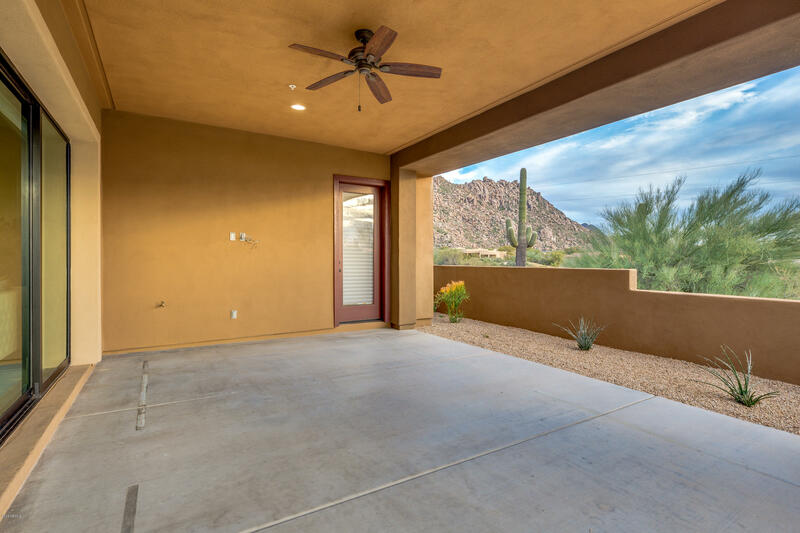 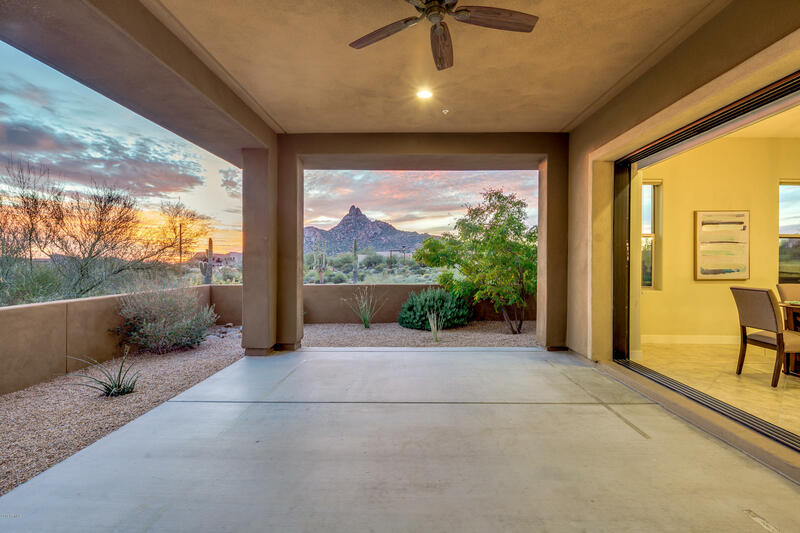 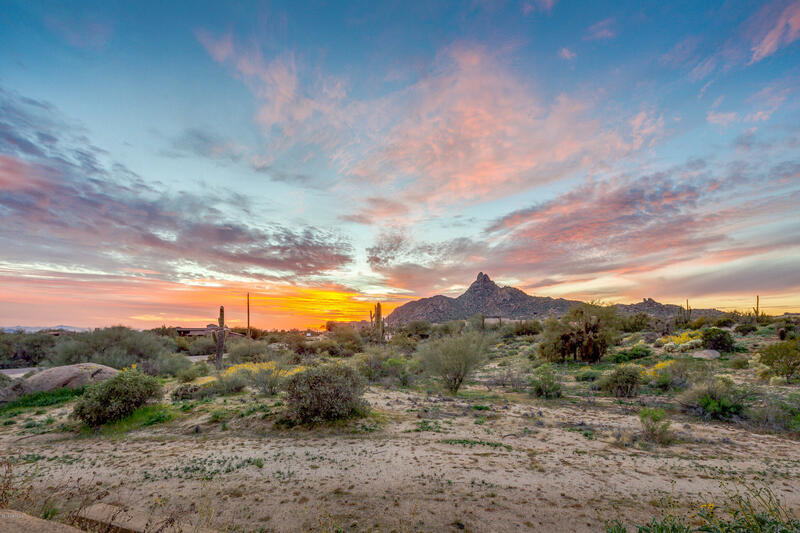 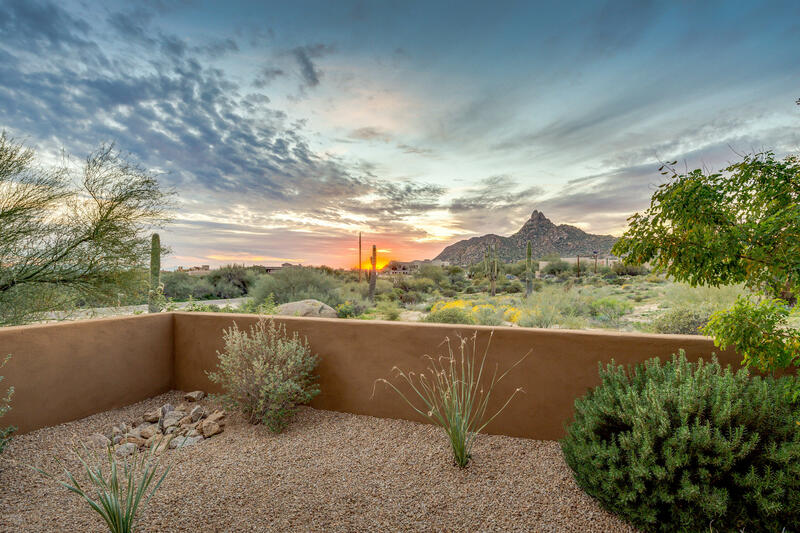 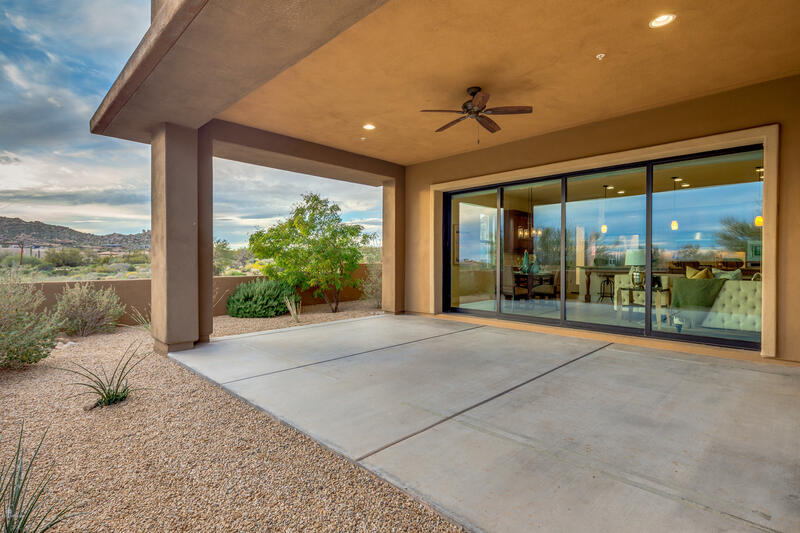 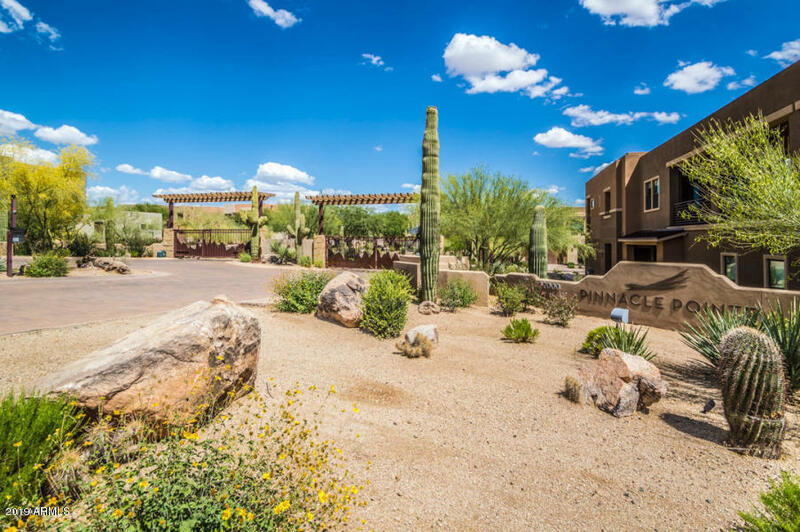 Nearly new with incredible Troon Mtn., Pinnacle Peak and golf course views in high demand PInnacle Pointe. 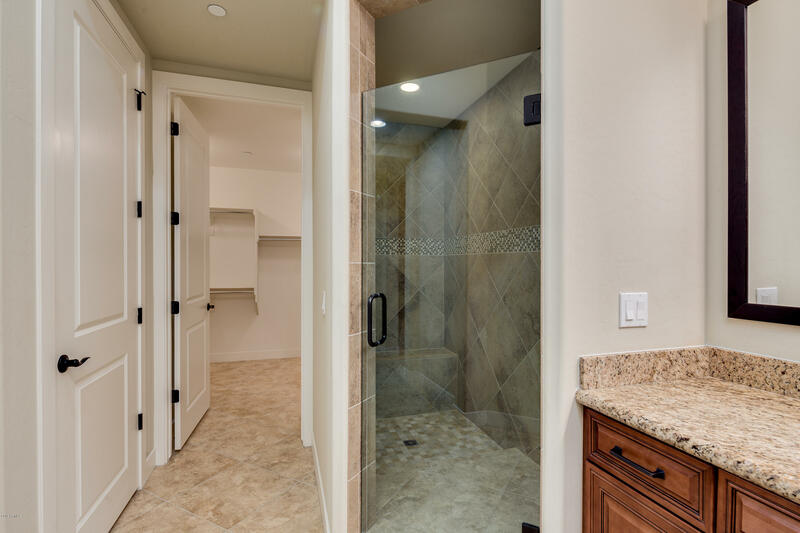 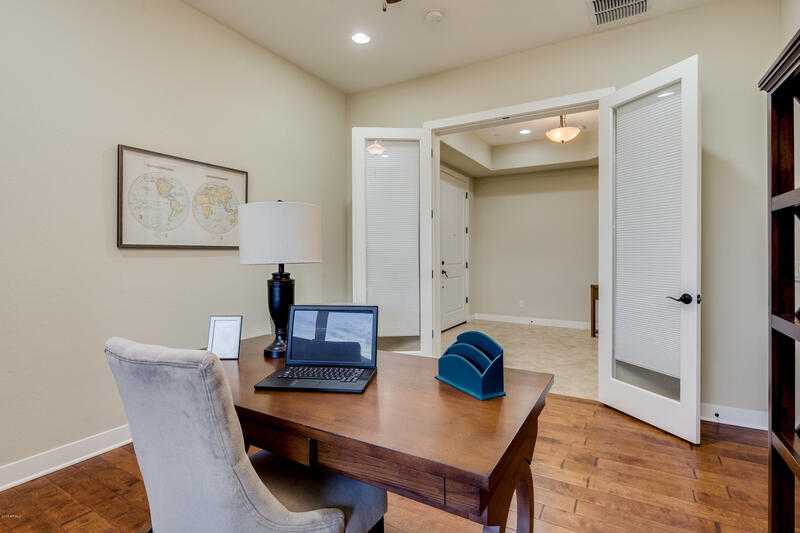 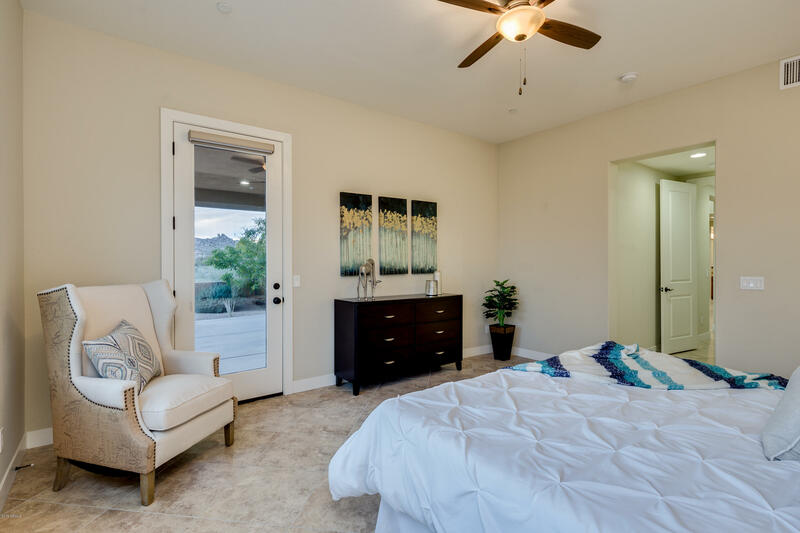 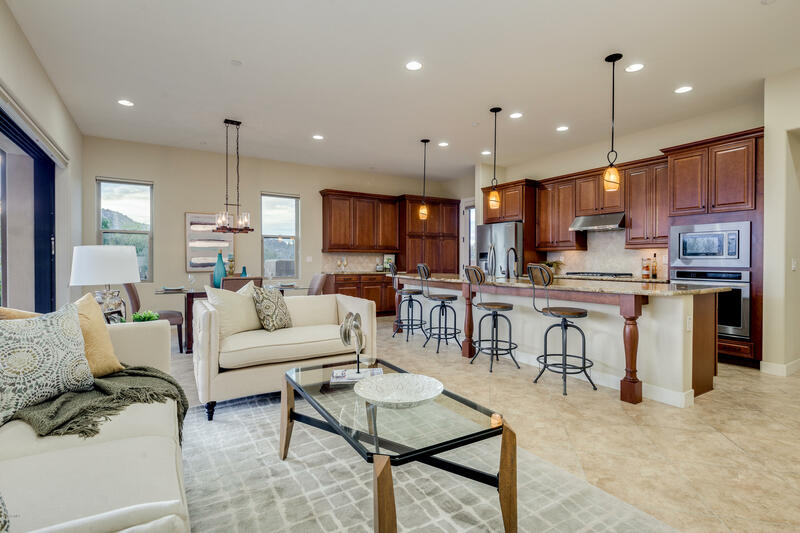 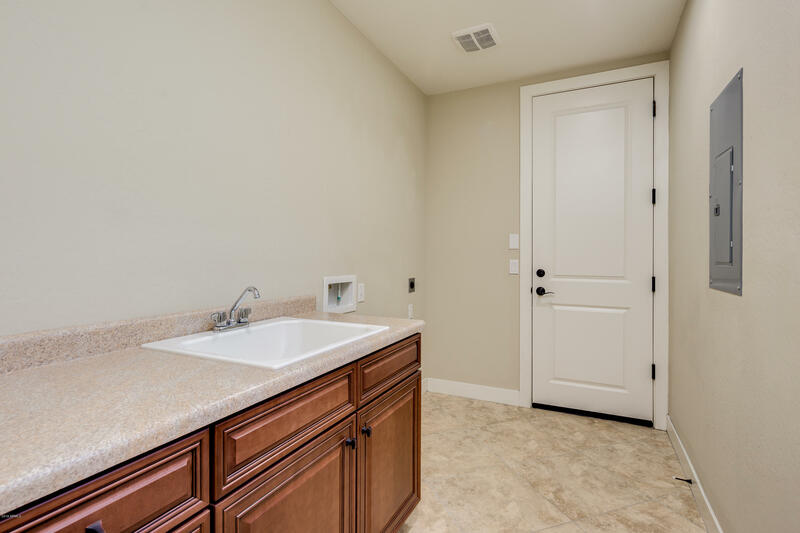 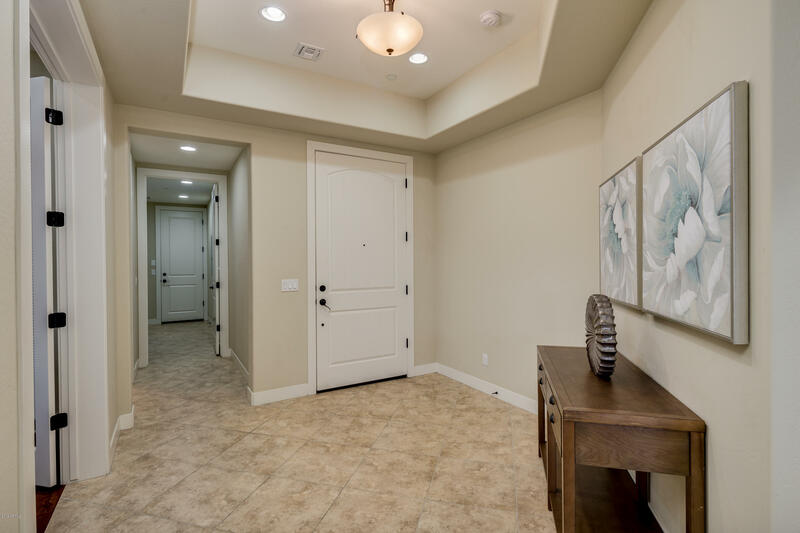 This perfect lock and leave is a great-room floor plan, with 2 patio areas, fantastic front courtyard with outdoor fireplace, large kitchen island with extended bar seating, double French doors in den/bedroom 3, and is a three minute walk across the street to the beautiful Four Seasons! 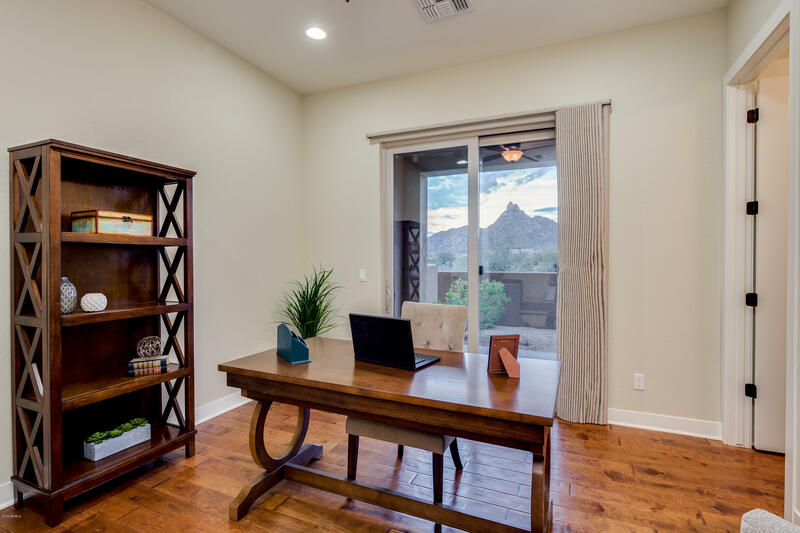 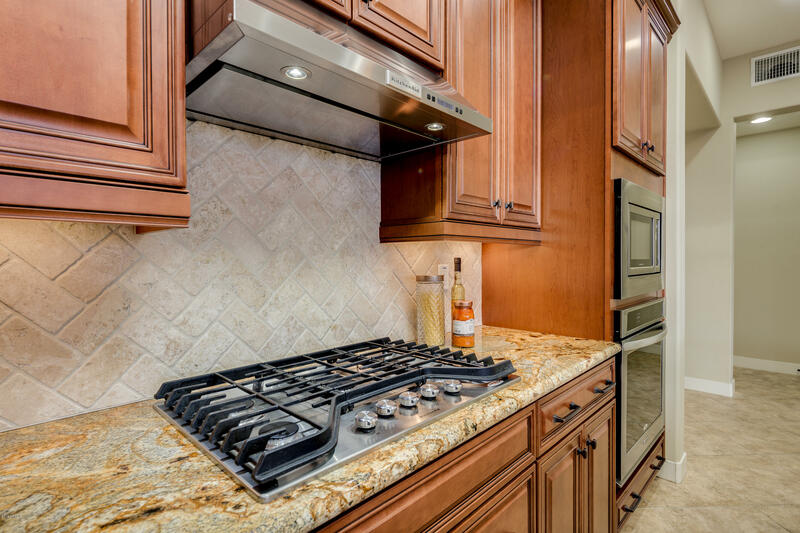 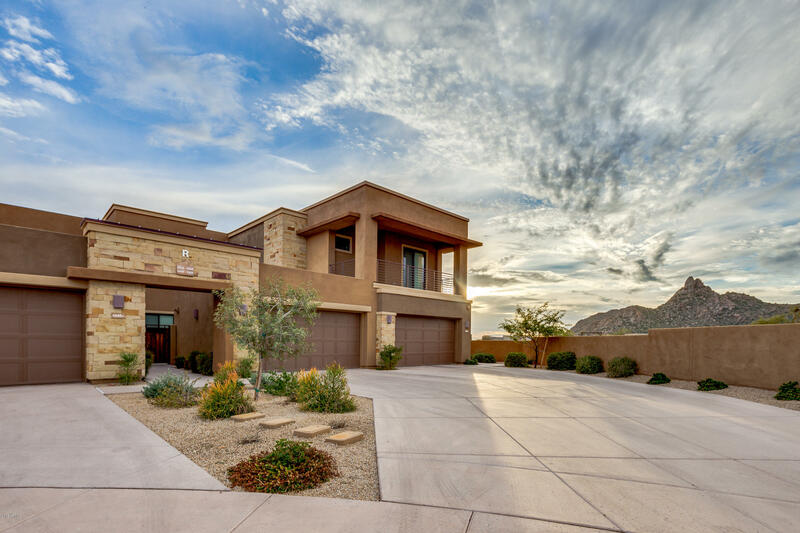 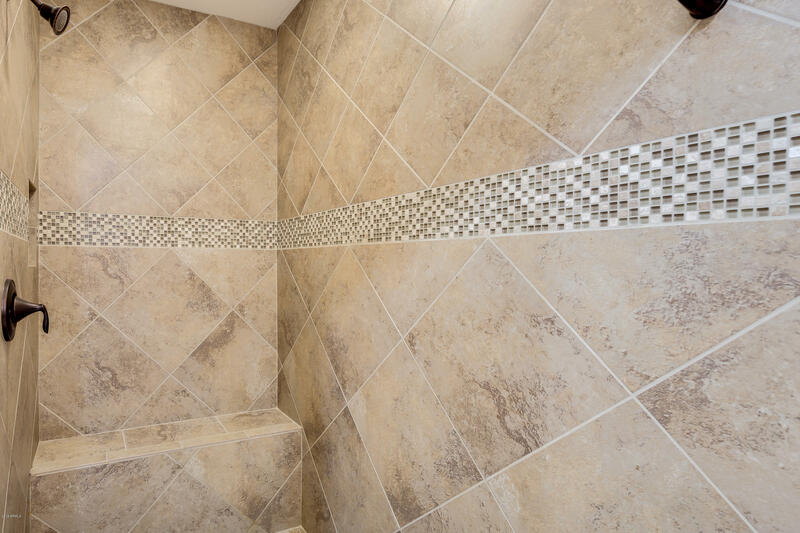 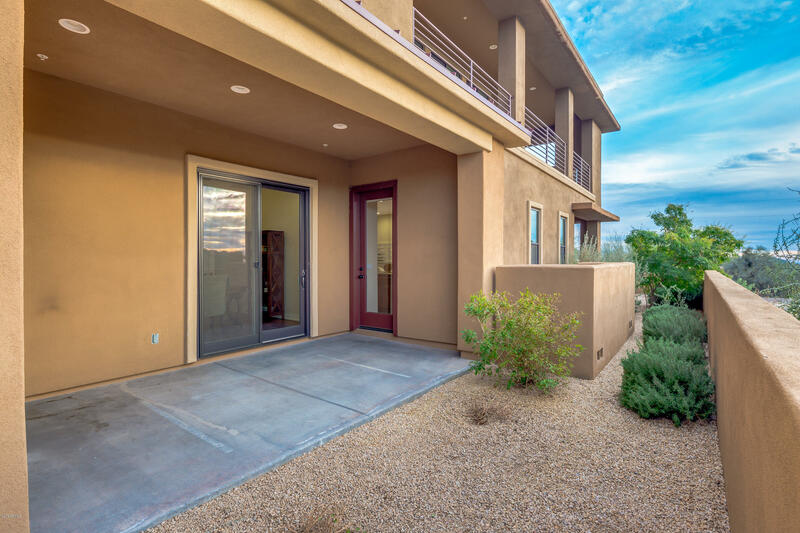 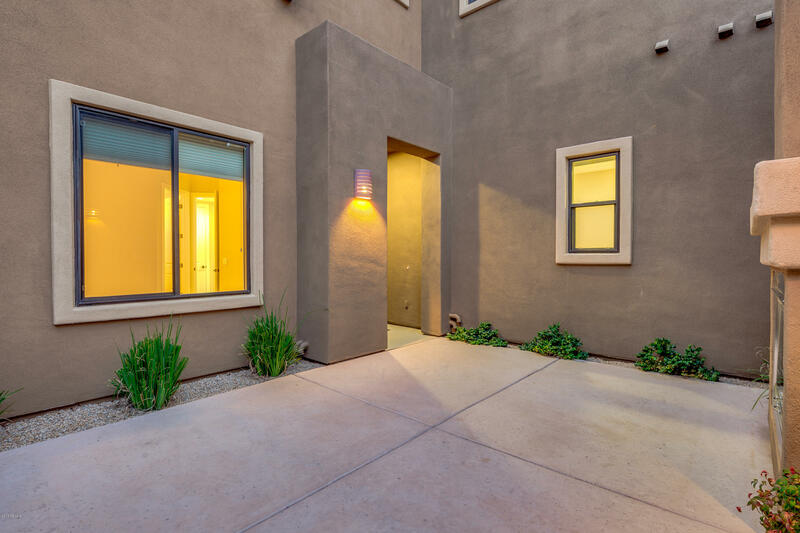 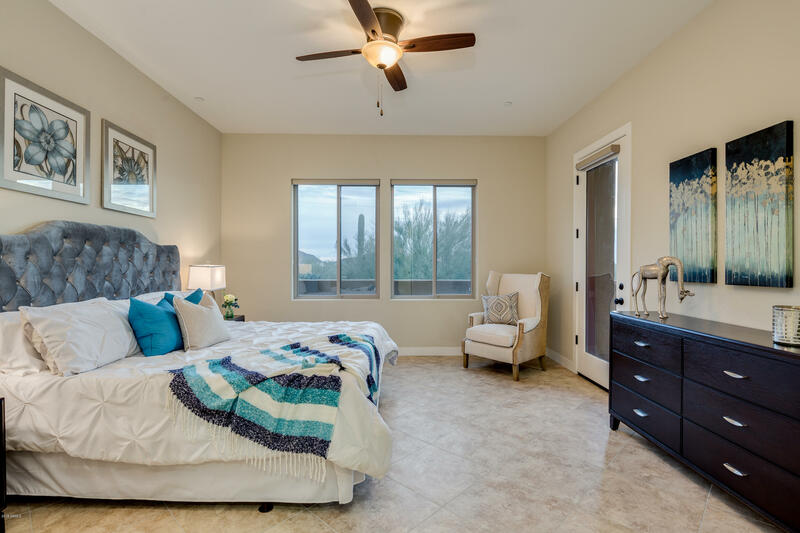 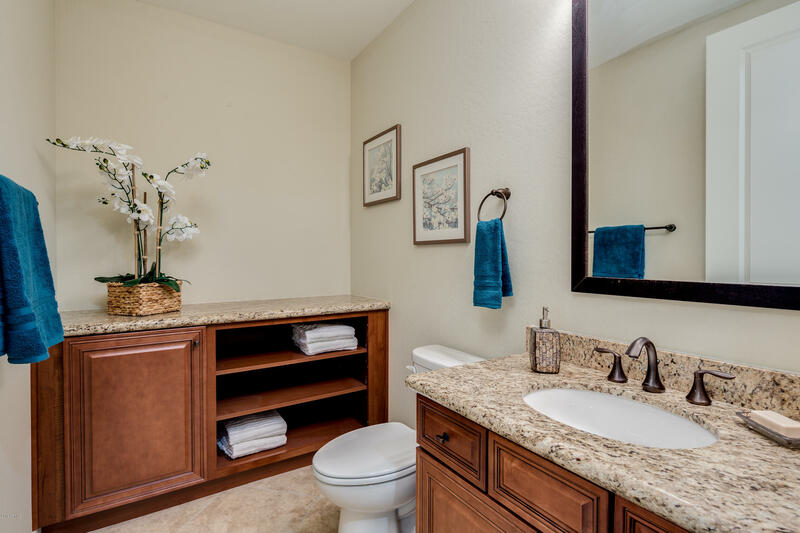 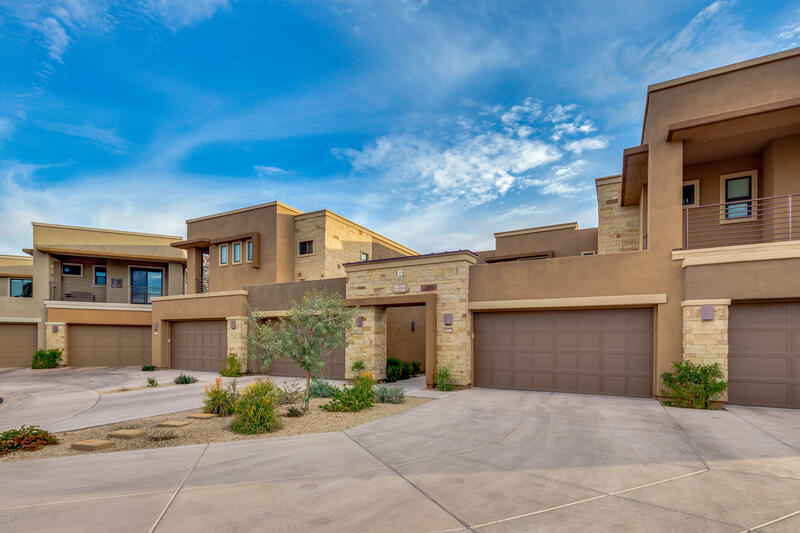 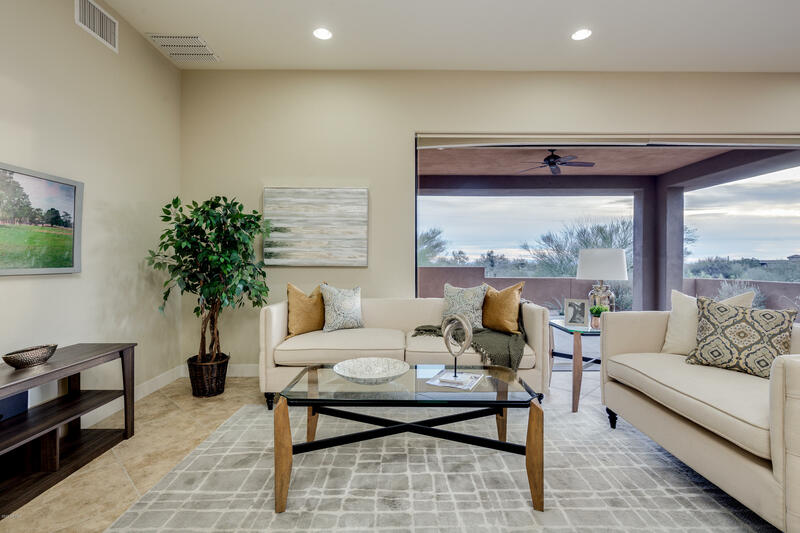 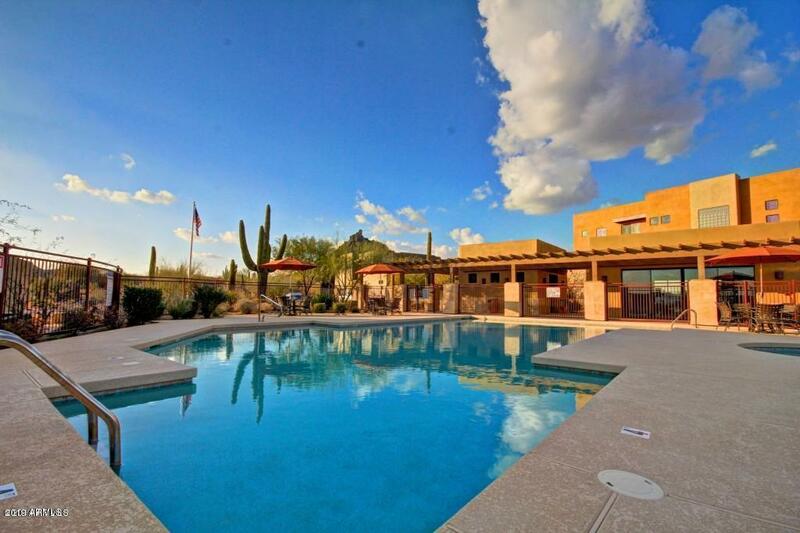 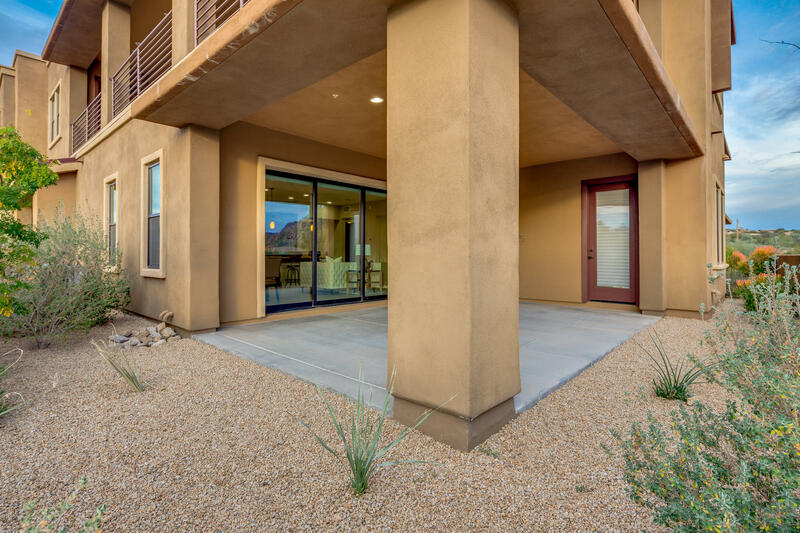 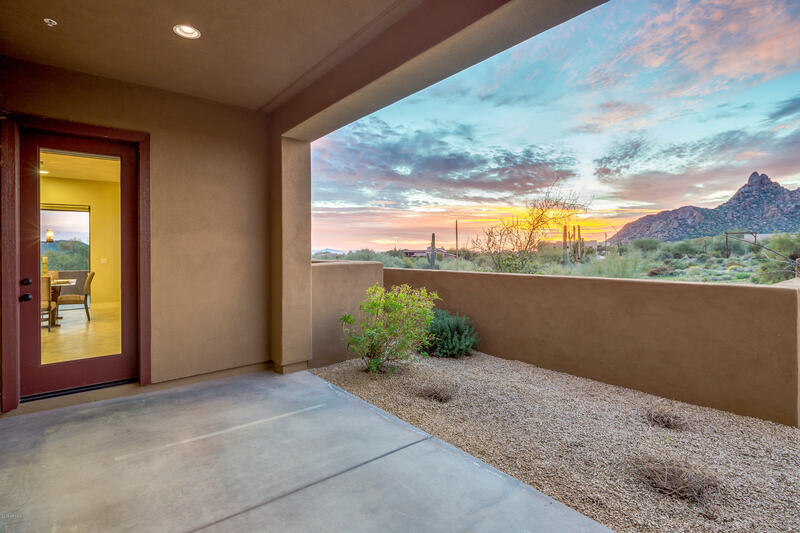 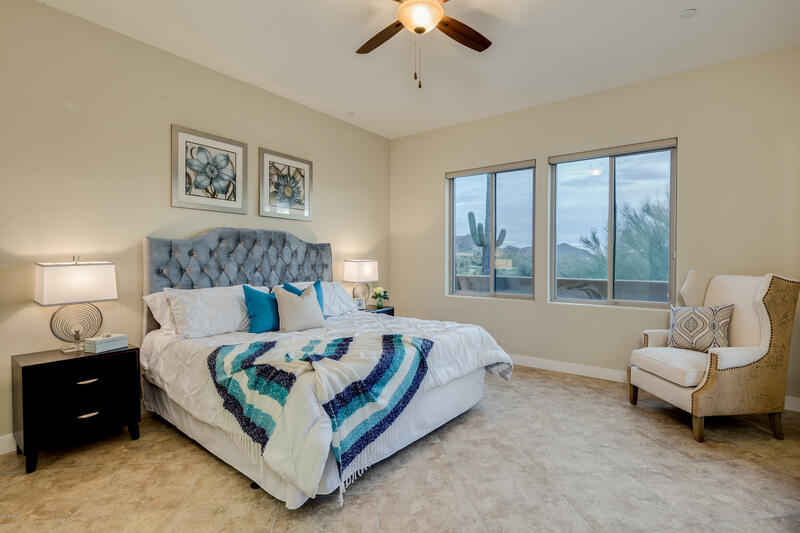 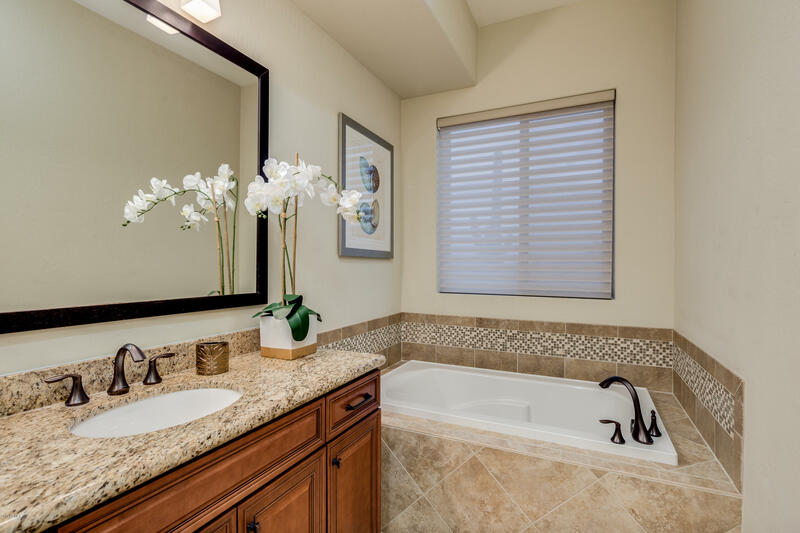 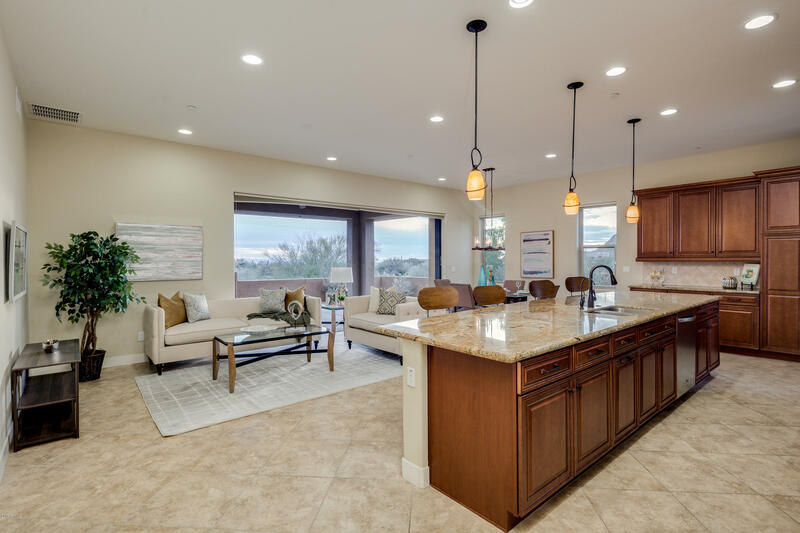 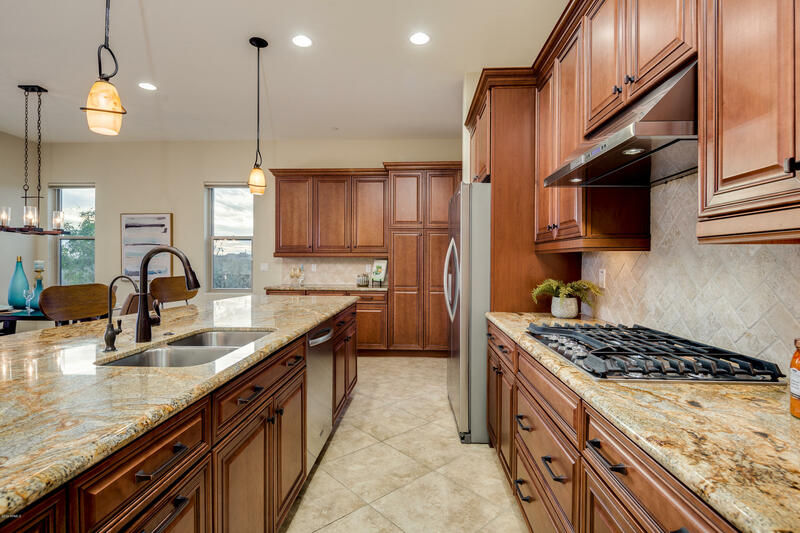 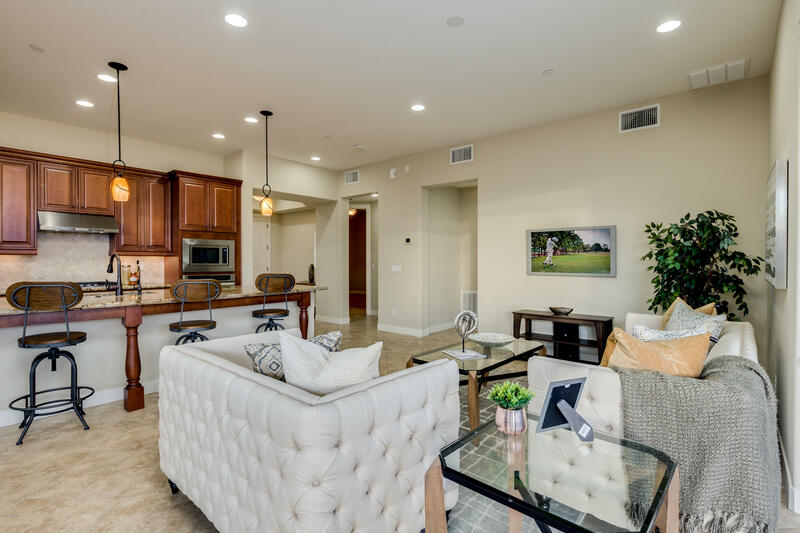 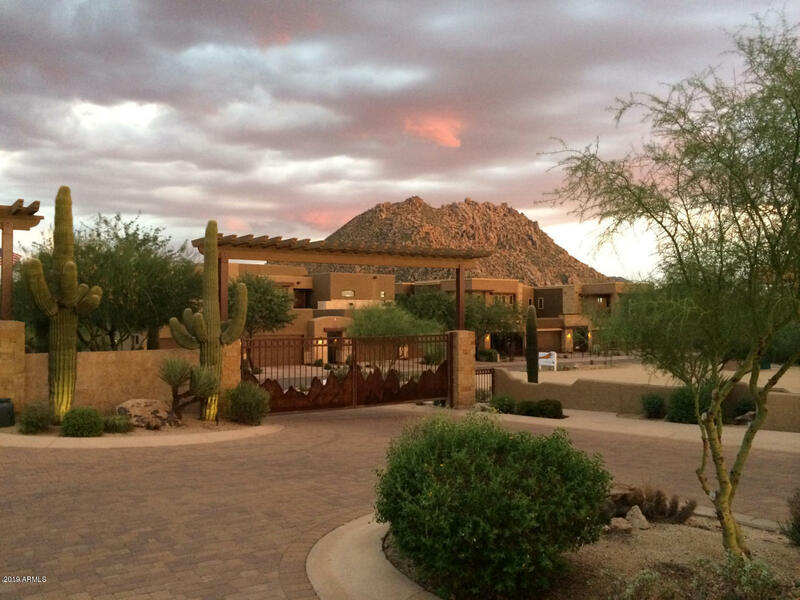 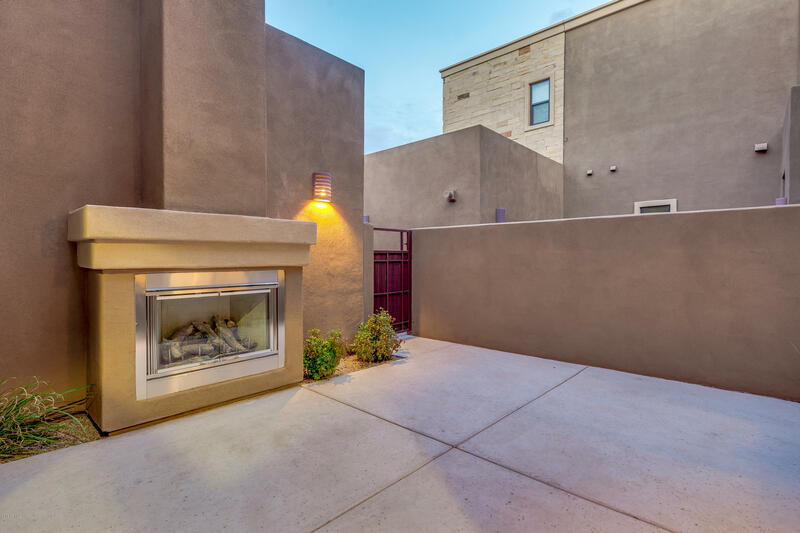 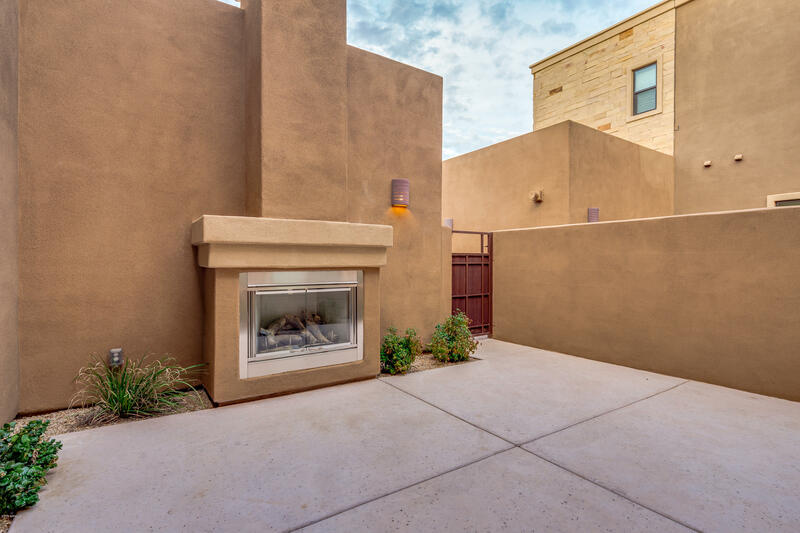 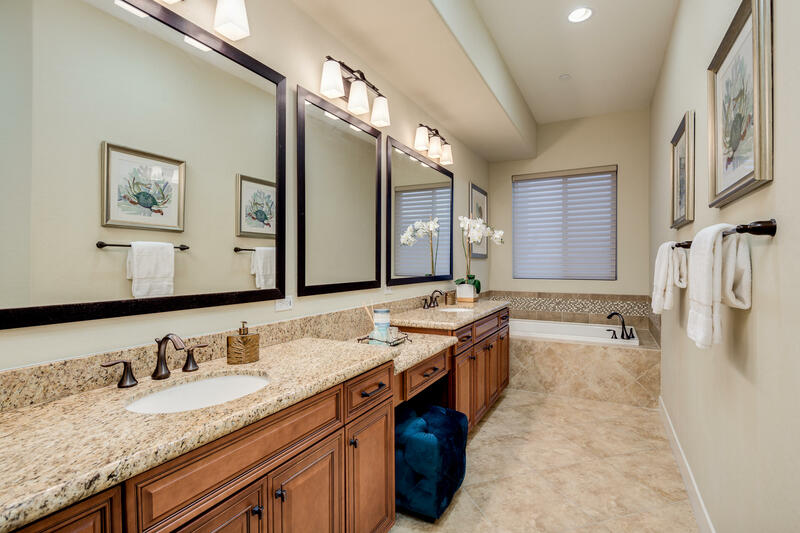 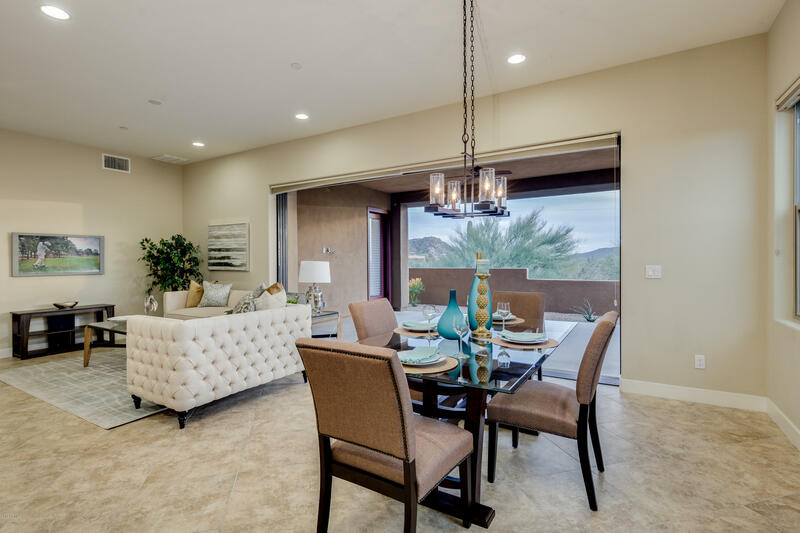 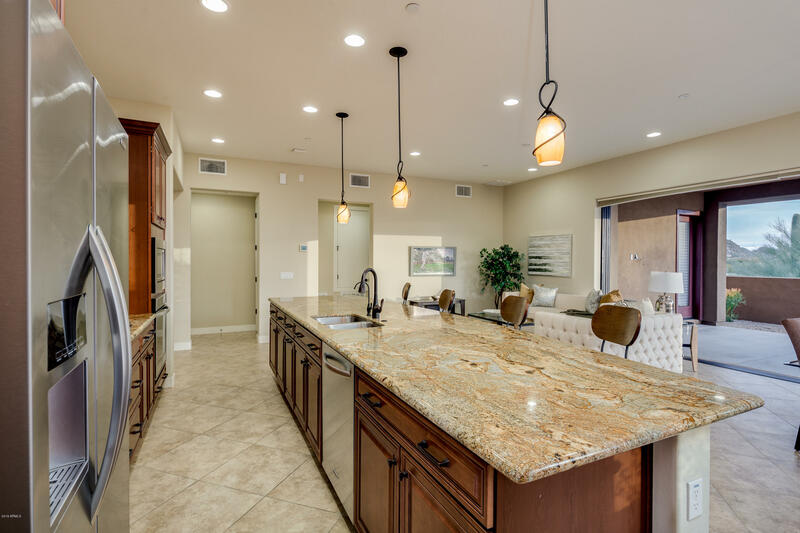 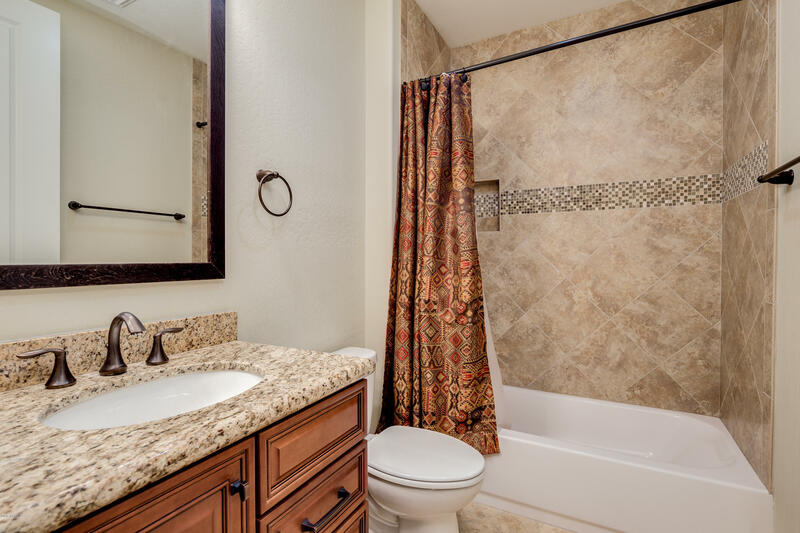 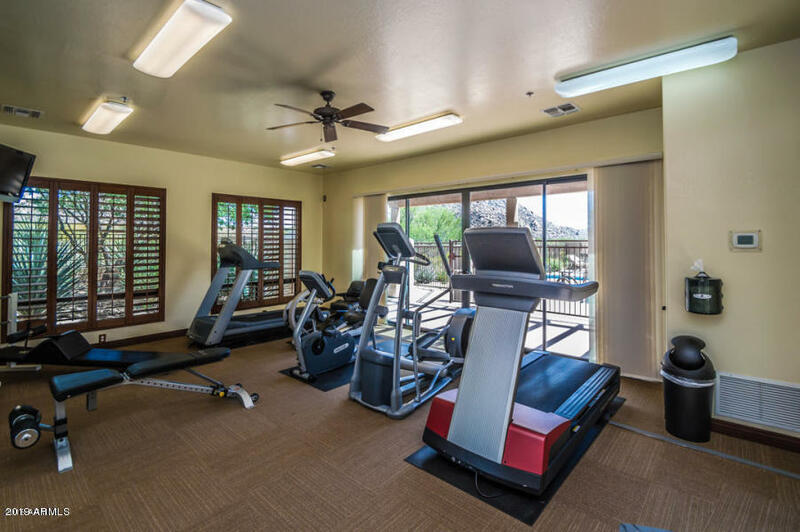 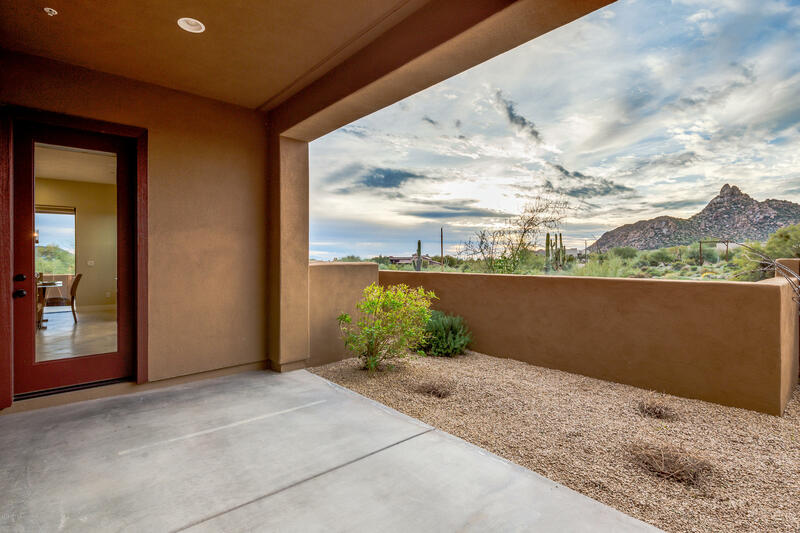 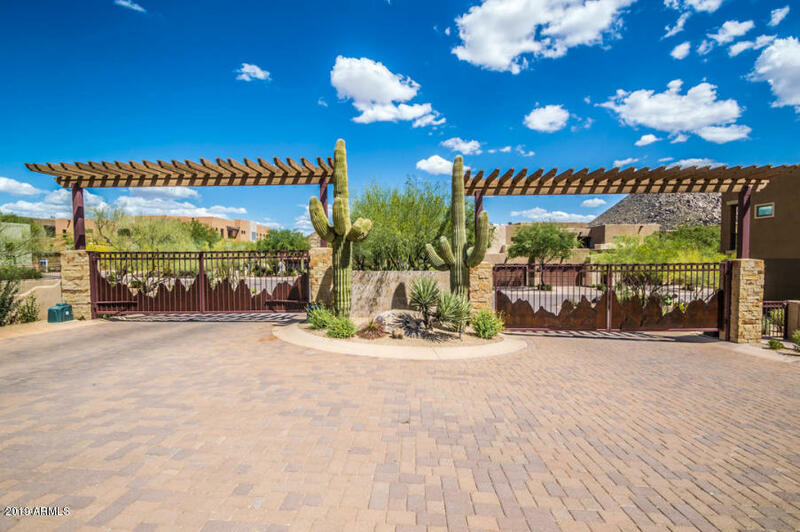 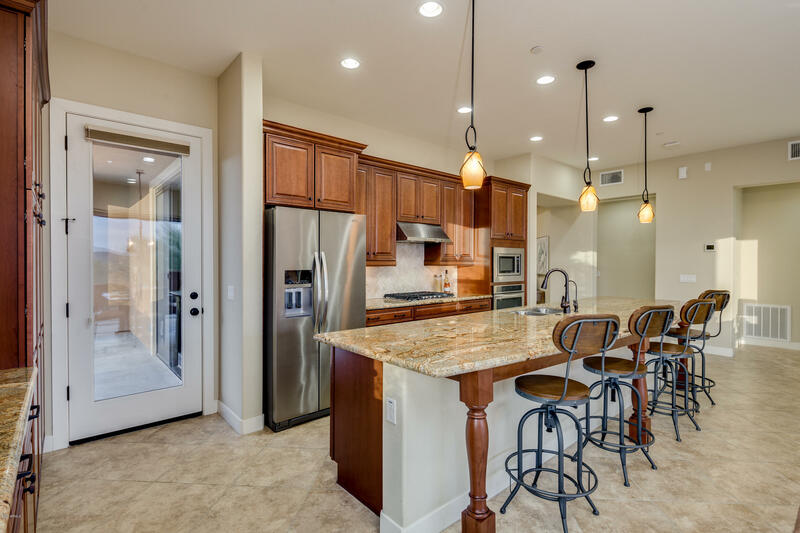 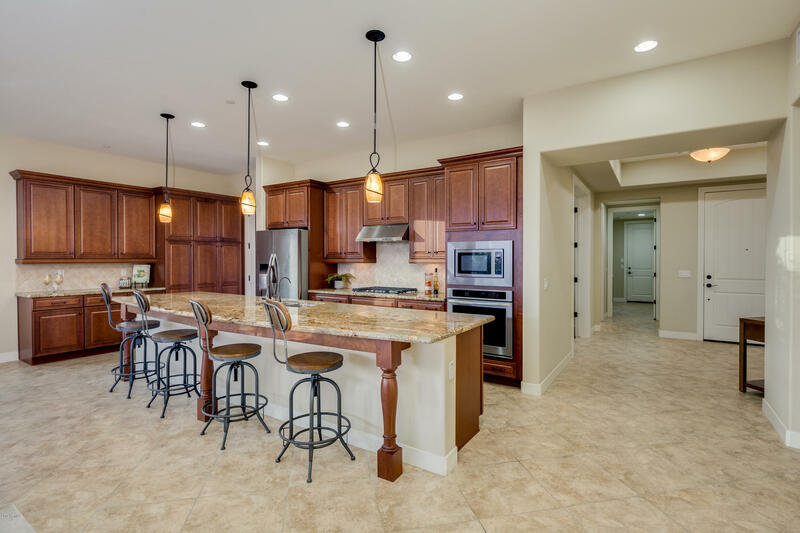 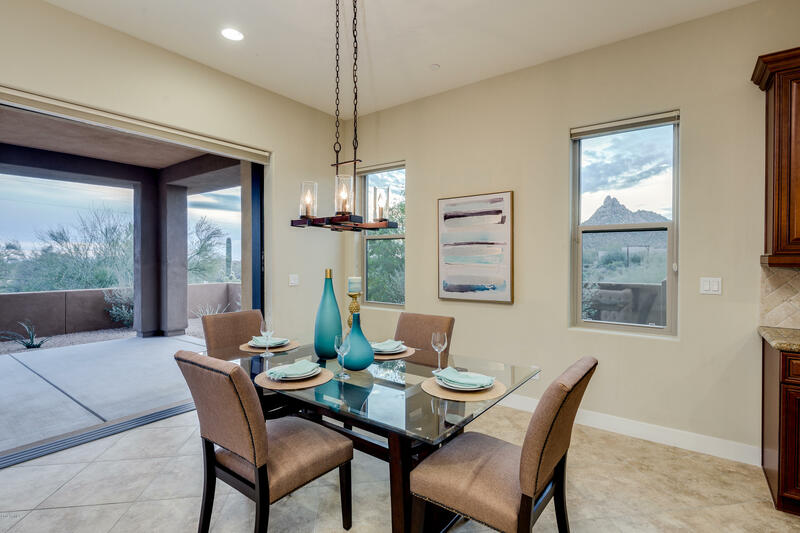 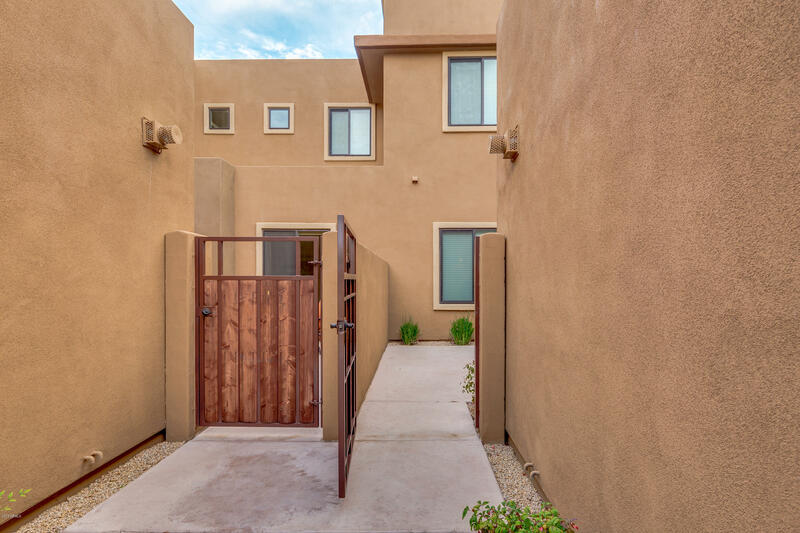 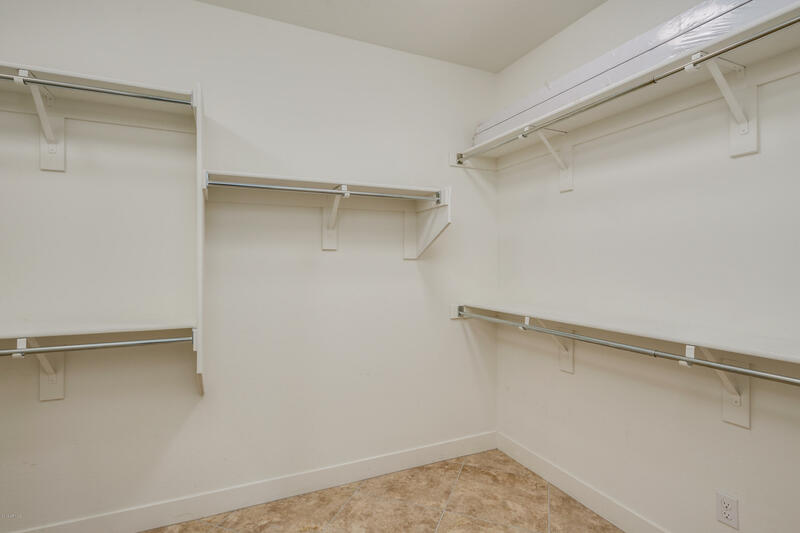 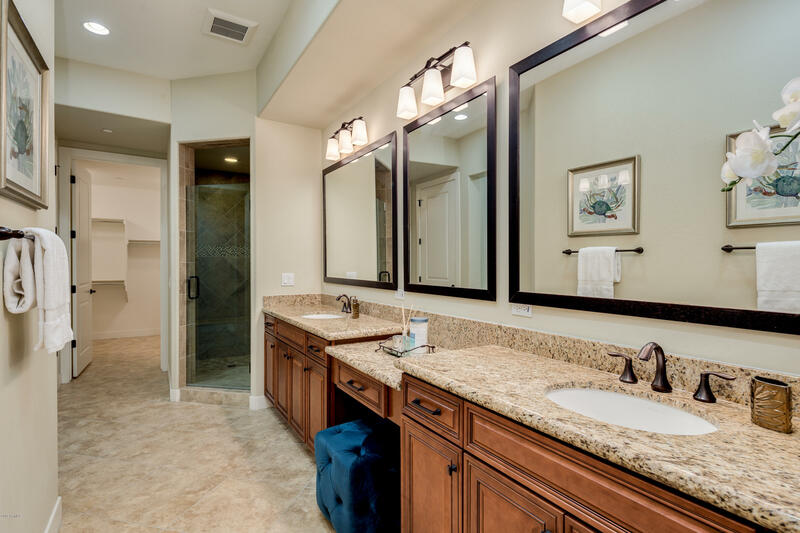 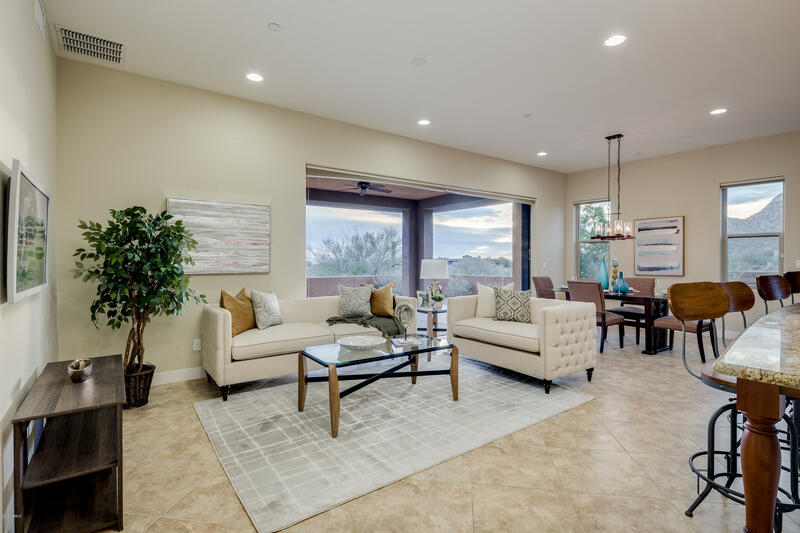 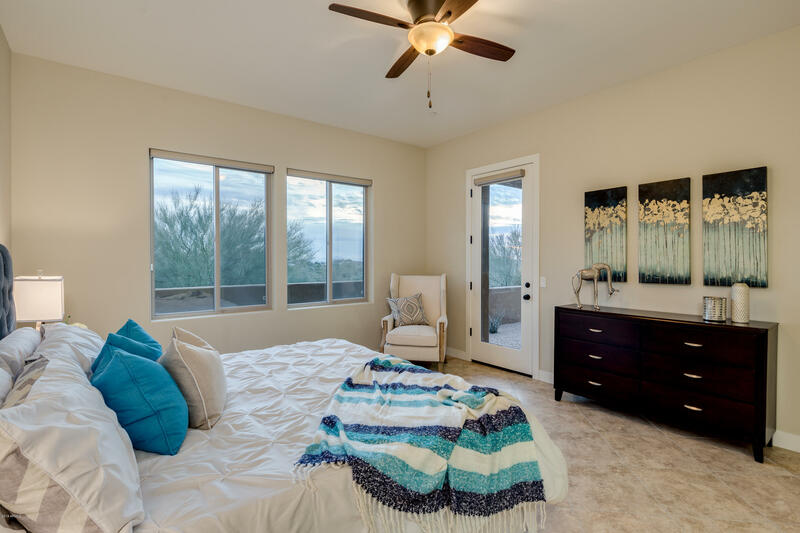 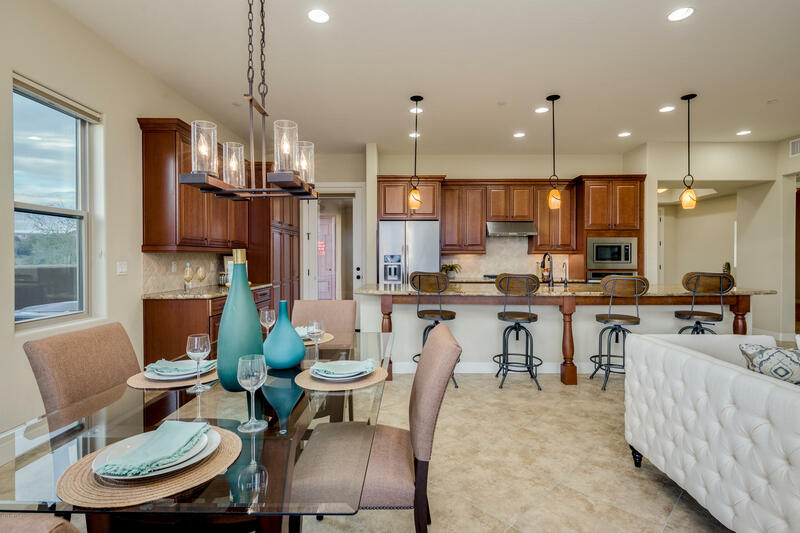 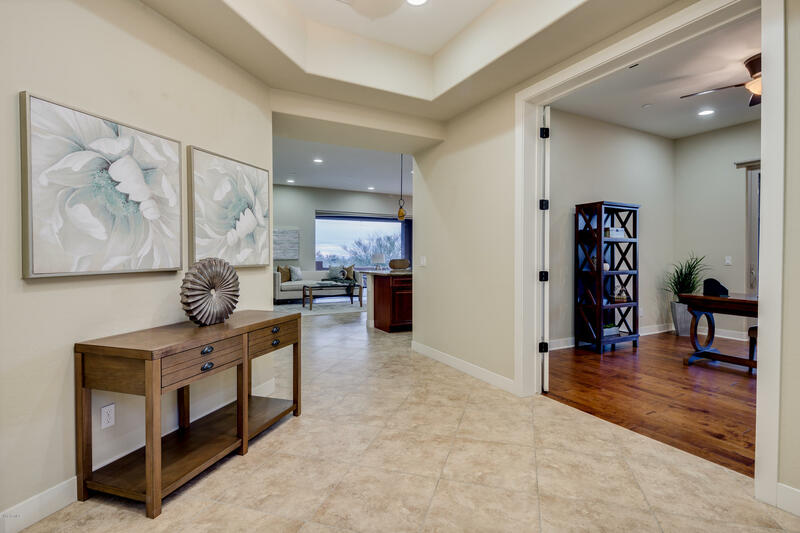 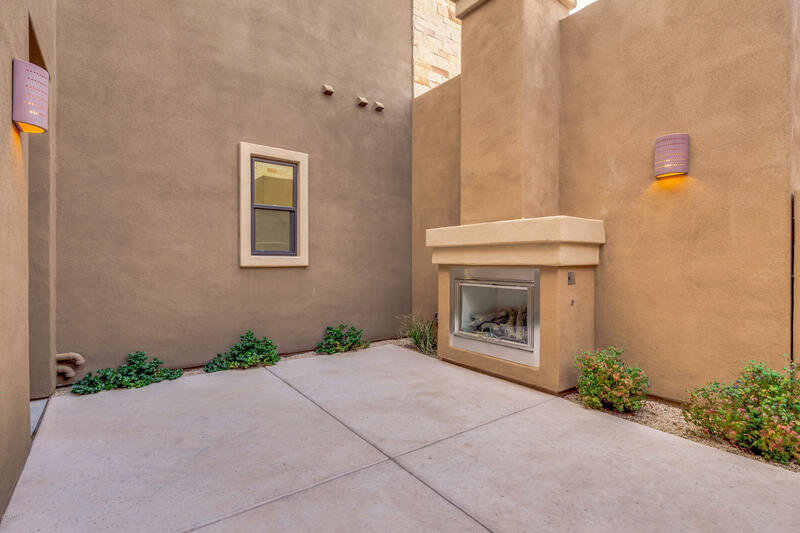 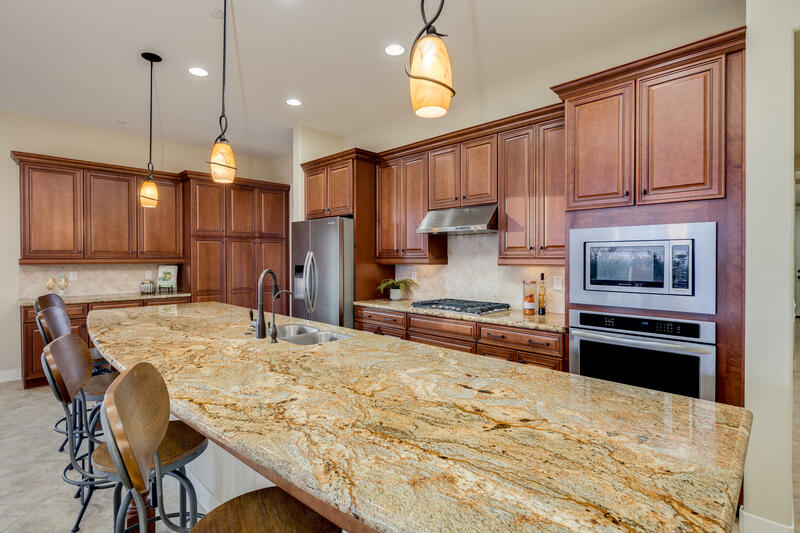 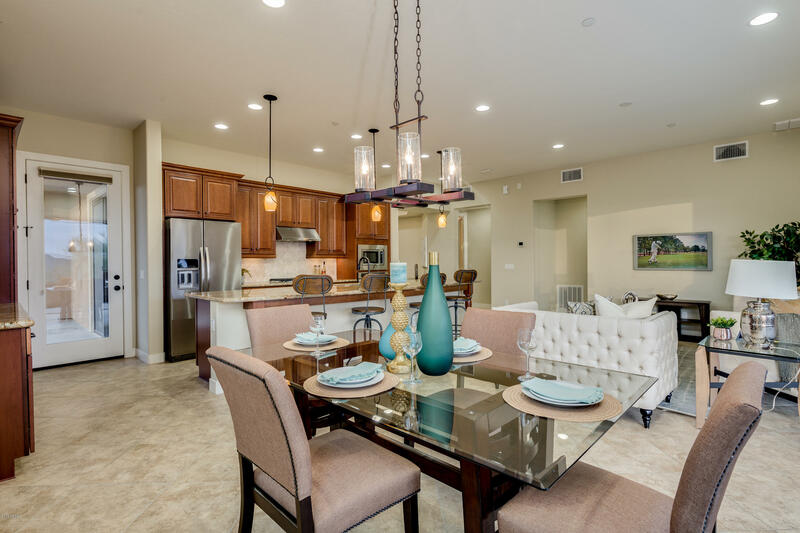 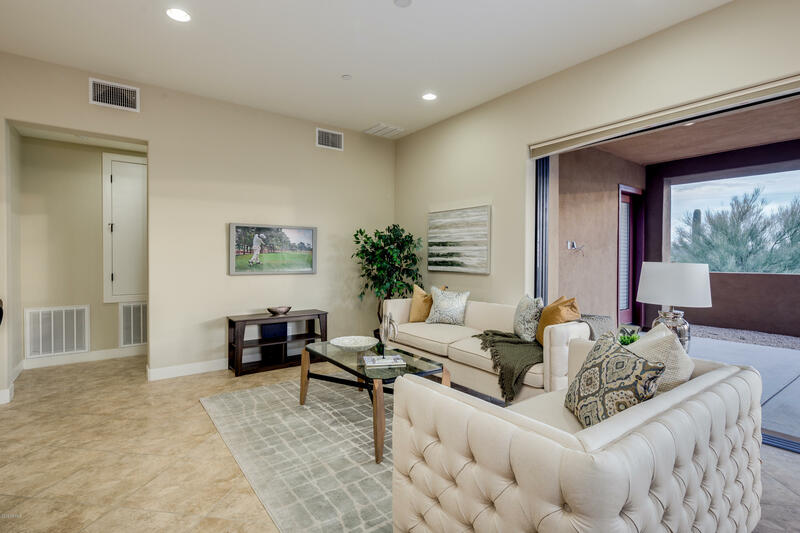 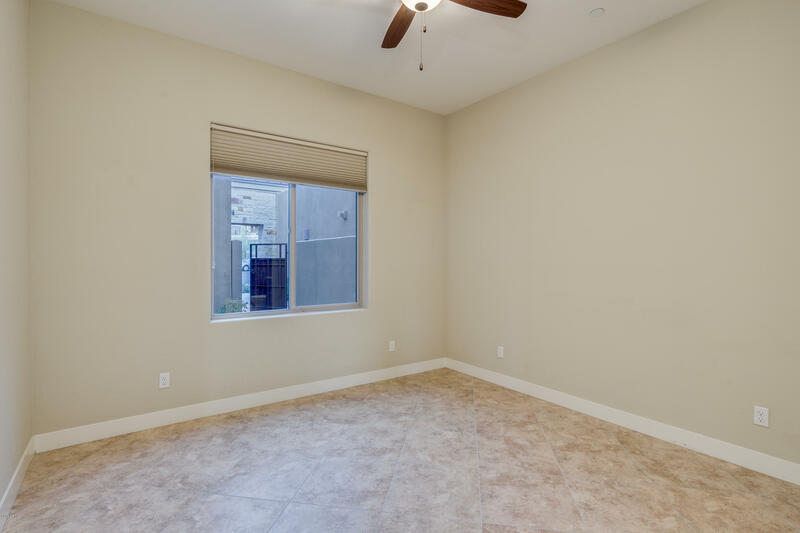 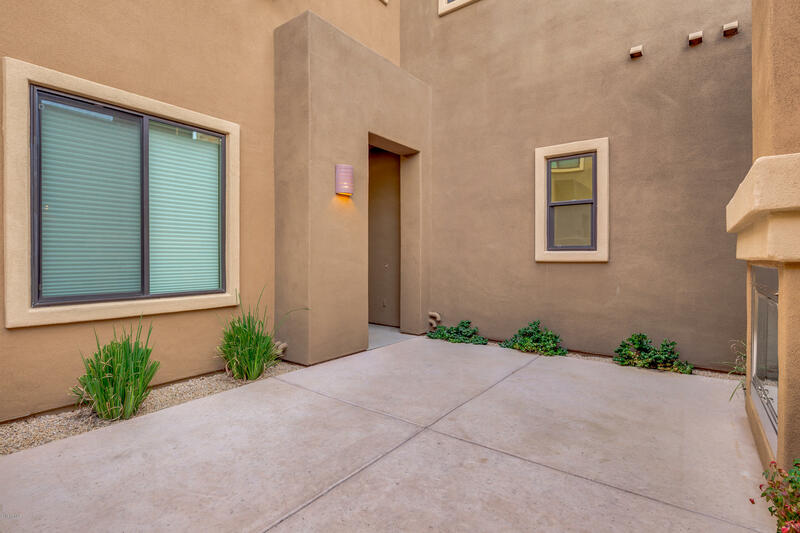 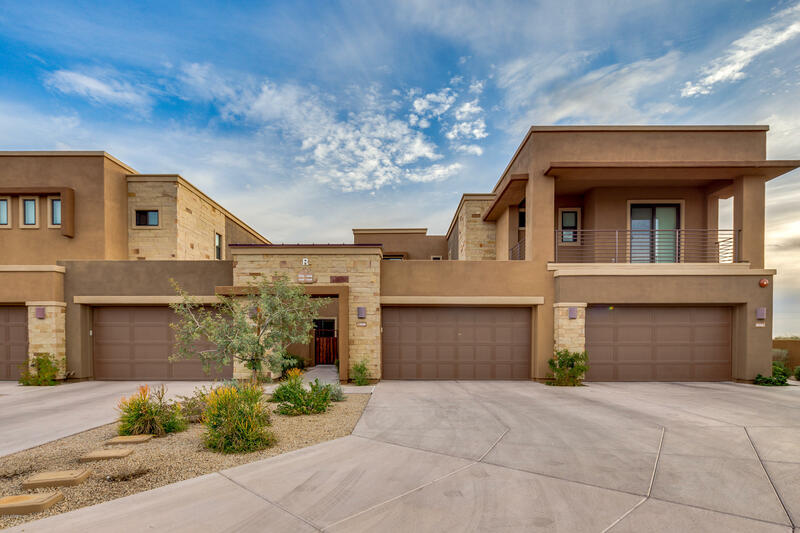 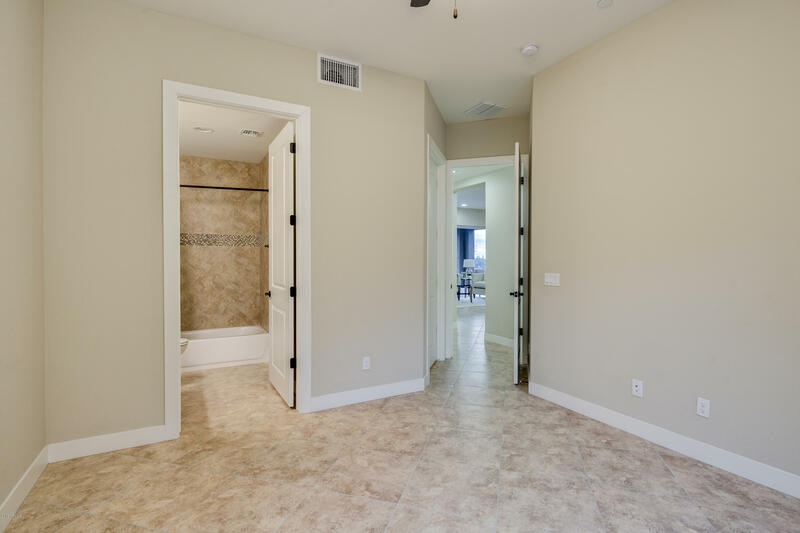 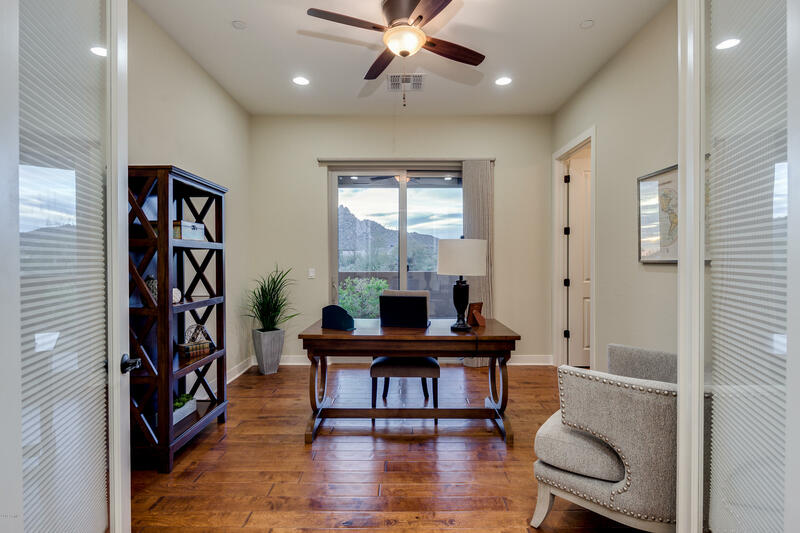 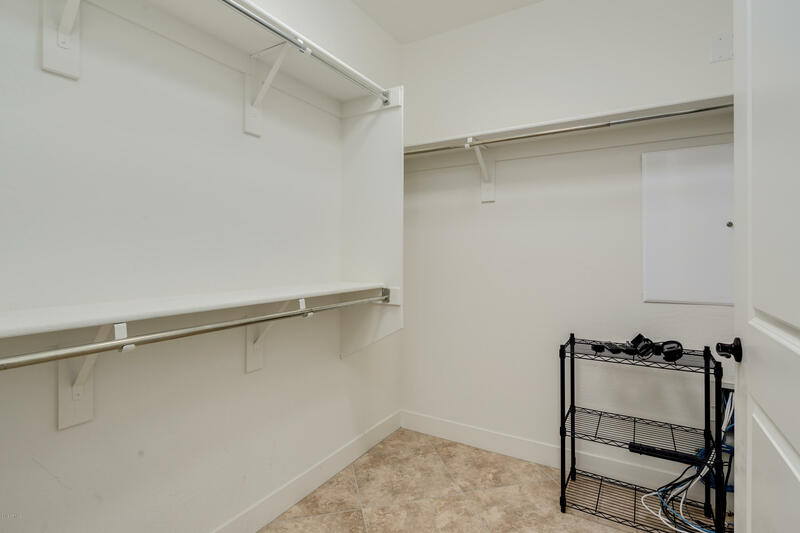 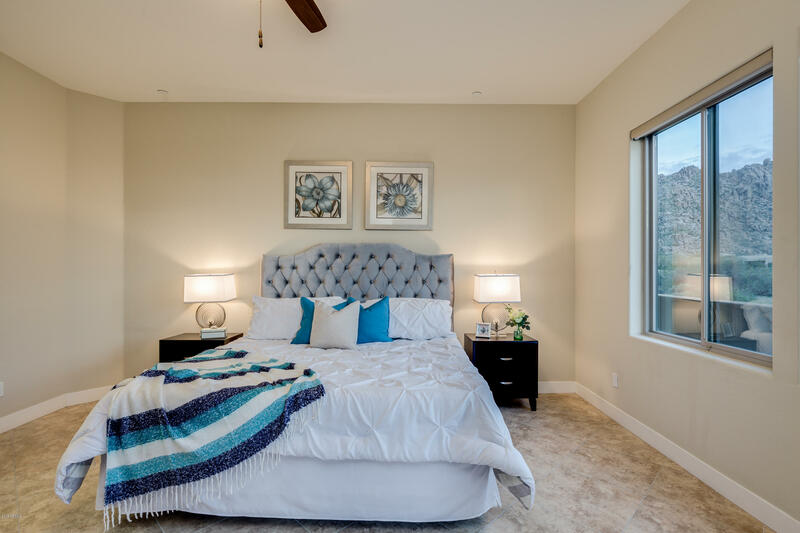 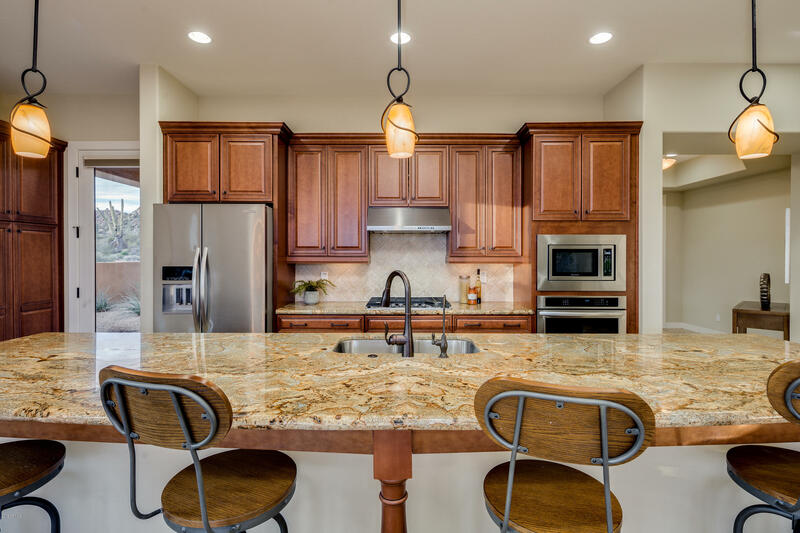 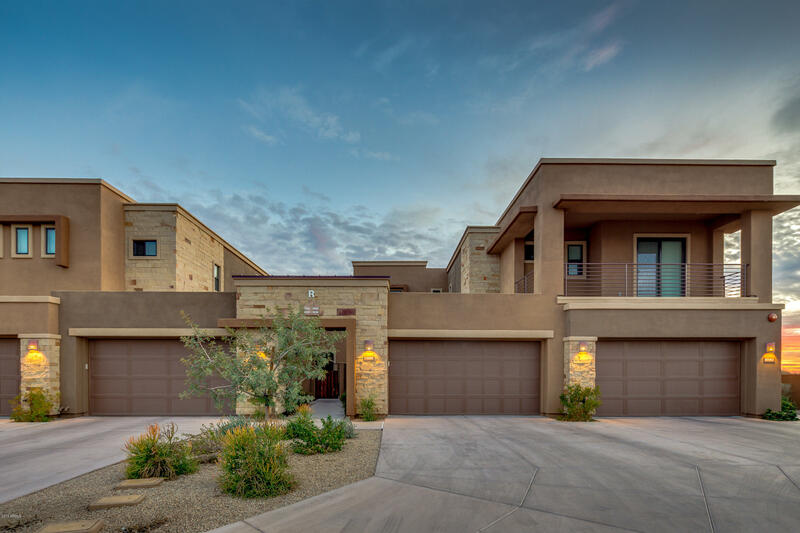 Make it yours at one of the most popular condominium communities in Scottsdale. 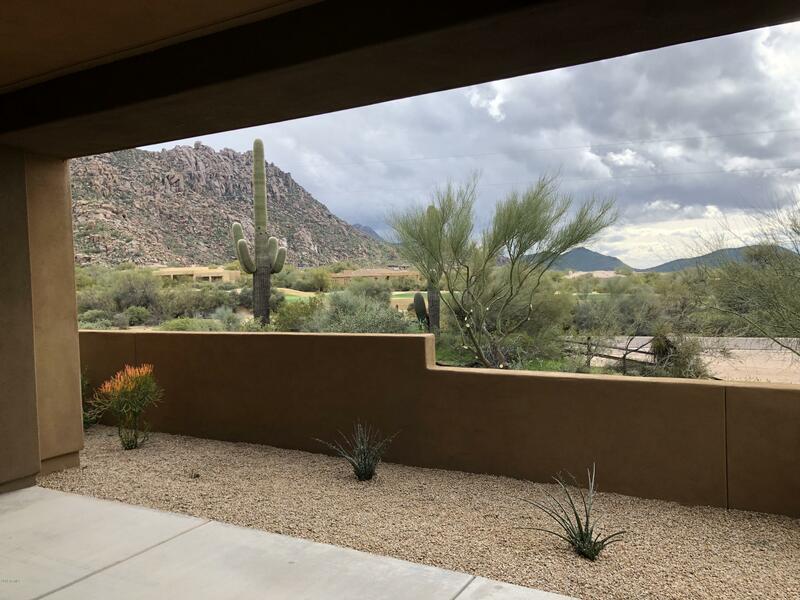 From Happy Valley, North on Alma School, just past Jomax. 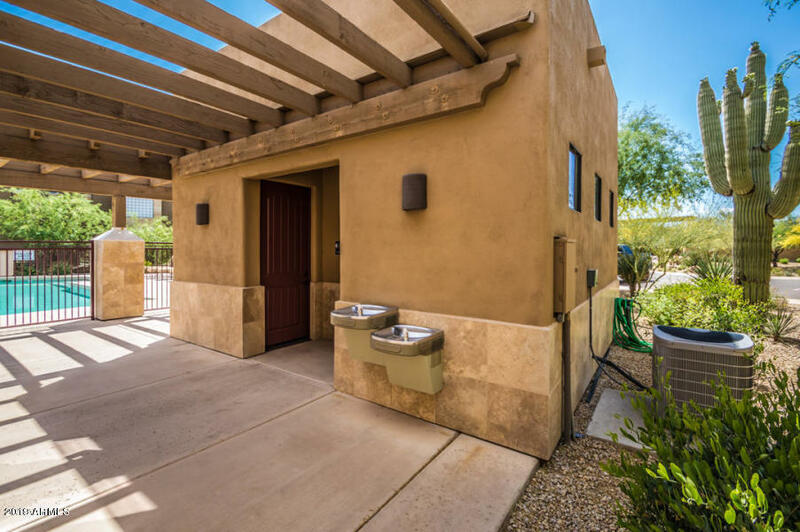 Community on right side of Alma School directly across from the Four Seasons entry.